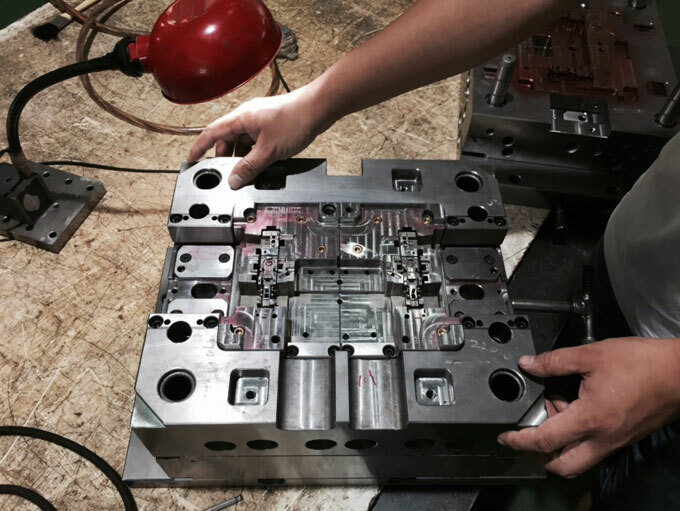 In the injection moulding process, mould temperature is an important factor affecting the quality of injection moulded parts. 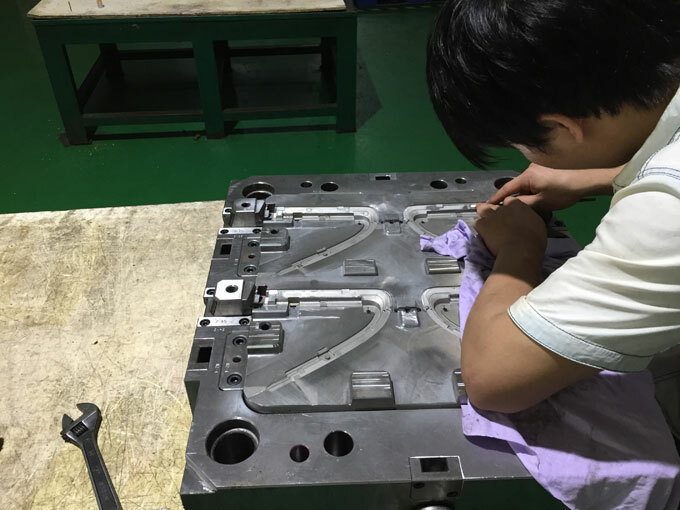 In general, setting a higher mould temperature usually results in higher higher surface quality of injection moulded part. Cold and hot cycle plastic injection moulding process is a method of controlling mould temperature using thermal cycling during the injection moulding cycle. This technique requires that the heating temperature of mould surface is above the glass transition temperature (Tg) of plastic to facilitate injection moulding, and then the mould temperature is quickly cooled to allow the parts to be cold-solidified for easy ejection. Cold and hot cycle plastic injection moulding process can greatly improve the surface quality of injection moulded parts, in addition, reducing the secondary processing steps such as painting and grinding and so on to eliminating surface flaws, which reduce the entire processing cost. In some cases, painting or grinding can be omitted. Cold and hot cycle plastic injection moulding can also improve the surface finish of glass-reinforced structural materials, and is used where high gloss is required on the surface of injection moulded part. Other advantages include: reducing moulding stresses, reducing or eliminating turbulence, weld seams, and other defects, and increasing the melt flow length to produce thin-walled injection moulded parts. Traditional injection moulding machines can also use the cold and hot cycle plastic injection moulding process. First, a special auxiliary system device needs to be installed to achieve rapid heating and cooling of mould surface. Overheated water and steam are needed. Some systems require an external boiler to generate steam. Other systems generate steam in the control device. In order to effectively control the processing process, multiple thermocouples must be mounted on the place where is next to the outer surface of injection mould to monitor the temperature. 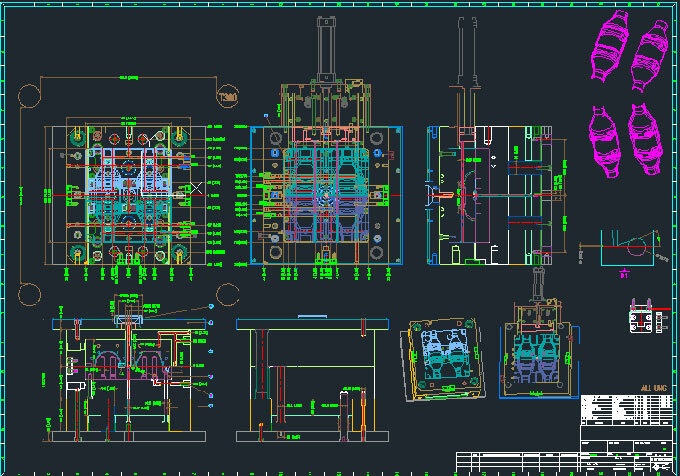 moulds, injection moulding machines, and hot and cold controls device must require intelligent connections to achieve processing process stability. In the initial phase of injection moulding cycle, steam or superheated water flow circularly to heat the surface of injection mould so that the mould temperature is about 10°C to 30°C higher than the glass transition temperature of the resin. When the set temperature is reached, injection moulding machine obtains a signal to inject the plastic melt into the mould cavity. After the mould cavity is filled up, the injection is completed, the cooling water is flow circularly into the mould, the plastic injection part is quickly cooled and moulded, and then the injection moulded part is ejected. There is a valve switch that make the steam or hot water and cold water exchange in turn and circulary. 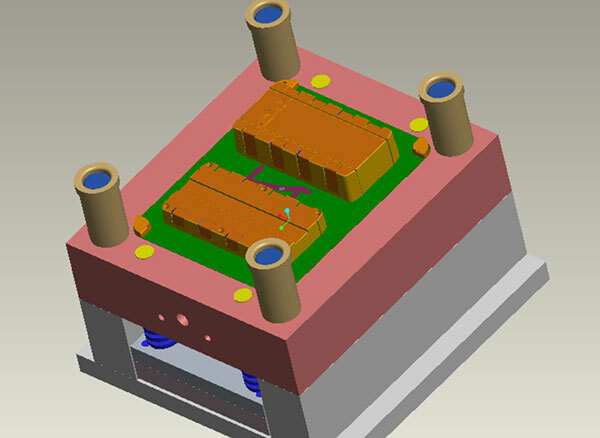 After the injection moulded part cools, the mould is opened and the part is ejected, and the system changeover switch reverts to the mould heating phase. The factors that determine the success of the cold and hot cycle plastic injection moulding process in the entire cycle processing period are not only related to the processed material, but also related to the injection mould design style and structure of injection mould. The required time of heating and cooling of injection mould is determined by the thickness of steel. For the heat exchange cycle, it is best to minimize the thickness of steel. The cavity and the core can be assembled in insert method, its advantage is that the method of cutting and excavating on the template can reduce the thickness of template. In order to reduce heat loss and increase thermal efficiency, these inserts can be assembled using air gaps and insulating materials on the cavities of the cavities and cores as much as possible. In addition to reduce the amount of mould steel, but also need to consider the impact of alternation of hot and cold. Used material for injection mould manufacturing need to have a relatively high thermal coefficient, such as copper-antimony alloy or other alloy material with high thermal conductivity, to shorten the required time of heating and cooling of mould surface. In addition, the cooling water channel is designed to be close to the mould surface for quickening the response times. However, in most of cases, this will be constrained by the geometry of plastic product. It will be very reasonable and effective that if the design adopts shape-reserving cooling, that is, the arrangement of the cooling water pipeline is designed according to the surface shape of plastic component. Cold and hot cycle plastic injection moulding process can greatly improve the appearance quality of injection moulded parts. The method that can bring most prominent effect is that the use of components of amorphous resin processing, the resin types including: PC resin, PC / ABS mixed material, PC / PBT mixed material. When the mould surface temperature is higher than the Tg of a certain amorphous resin, the resin won't form a skin during the injection stage, and the melt is free to move. The result is that the melt won't freeze when it hits the surface of mould, which is different from the traditional injection moulding process. During filling, a thin polymer melt escapes and remains on the outer surface of the mat template, thereby increasing the gloss of injection moulded part and reducing the surface roughness. The results show that if the gloss of injection moulded parts is increased by 50% to 90%, the surface roughness index can be increased by 70% for glass fiber reinforced materials, and by 20% relative to the index of unfilled materials. Cold and hot cycle plastic injection moulding process has a positive effect on improving the width and visibility of weld marks. A comparison of the machining of three different materials on the same mould has been performed. The results show that the width of weld marks on the surface of injection moulded parts processed using the conventional injection moulding process is approximately 6 to 13 microns. There is no any weld marks on the surface of injection moulded parts processed using the hot and cold-cycle plastic injection moulding process. This huge advantage can save the secondary processing such as painting, especially for some special occasions. The residual internal injection stress in the injection moulded part can cause warping of part and even shorten the service life of injection moulded part. Traditional injection moulded parts have high internal stresses. Carbon tetrachloride is a known solvent that can cause stress cracking in plastic parts. Plastic parts processed by the Hot and cold-cycle plastic injection mould have lower internal stress, and the use of this solvent won't cause stress cracking of injection moulded part, thereby eliminating the need for an annealing process before the parts are used.